Auburn University, in partnership with the Tuskegee Institute and the Alabama Public Library Service (APLS), proposes to expand and enhance public computer centers in 94 rural libraries and 21 public schools in Alabama as part of a strategy to address unmet user demand for computer resources. In a recent study conducted by the University, Alabama libraries reported that more than 60 percent of their patrons were economically vulnerable. This project proposes to improve service for these populations by providing access to broadband-enabled computers that would allow users to search for jobs online, prepare resumes, use career development materials, and apply for employment, training, or related assistance. Auburn plans to offer over 1,000 online courses for users seeking educational opportunities, along with distance learning and telemedicine applications. Auburn’s Harrison School of Pharmacy plans to test the feasibility of using video conferencing to facilitate transactions between rural residents and pharmacists. Further integrating the schools with their surrounding communities, student interns from Auburn and Tuskegee will work with library staff to maintain the computer centers and equipment. In March 2011, the Center for Governmental Services at Auburn University, in partnership with Tuskegee University and the Alabama Public Library System, began upgrading and adding Internet workstations in schools and libraries throughout Alabama. This statewide initiative is designed to provide visitors with computer resources that they can use to search for jobs online, find career development materials, and apply for employment, training, or related assistance. 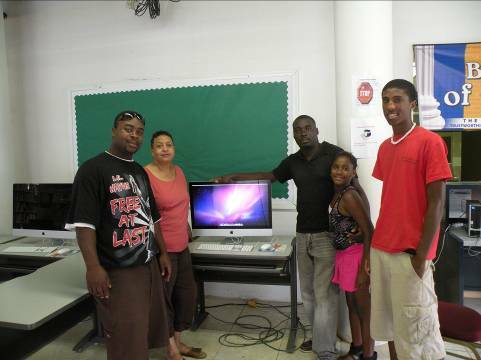 As of June 2011, BTOP funds have allowed the project to distribute 1,400 new workstations, which are serving an average of 29,300 students and library patrons per week at 66 public computing centers. In many cases, these centers were using computers more than 10 years old. The response to receiving these new workstations from the librarians, patrons and students has been overwhelmingly positive. Members of hard-hit communities are using these new computers for schoolwork, jobs, and digital literacy training. Auburn University is also providing training for library staff members. Librarians participate in webinars via Auburn University’s website and learn techniques for managing their new computer resources. Additionally, BTOP funds have allowed Auburn University to create six new jobs to assist with the project’s administration and distribution of new computers. By the end of the project, more than 130 locations in 55 counties throughout Alabama will receive $3.5 million worth of new computers and computer equipment.